Live! Forget your worries and visit Bucharest! A short term rental City Center is the best way to completely enjoy and savor this enchanting city. As the center of Romanian culture, Bucharest offers ultra-modern to traditional and historic dwellings that are fully and luxuriously furnished. Staying at a high-end Bucharest apartment short term cost so much less than staying in a hotel of comparable quality. These Bucharest apartments for rent short term are located in areas where your safety is the least concern. Whether at night or in the day, you will feel secure walking to cafes, restaurants, bars, museums, businesses, malls, churches, synagogues, embassies, movie houses, bookstores or libraries. You will have no trouble enjoying the city's vibrant nightlife. You can rent a Bucharest apartment short term for a fraction of the price of a first class hotel, without sacrificing the comfort and luxury. There are beautiful studios and stylish apartments that can sleep one to several people. Aside from security, you can expect cleanliness, elegance and comfort. 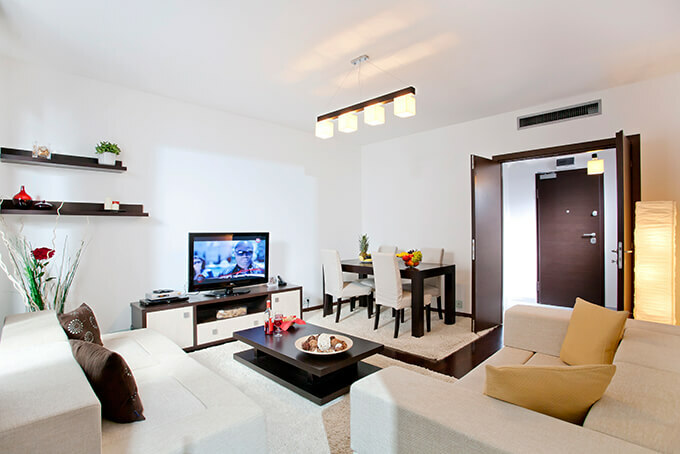 Modern interior and designer furniture are a standard for all our luxury apartments. 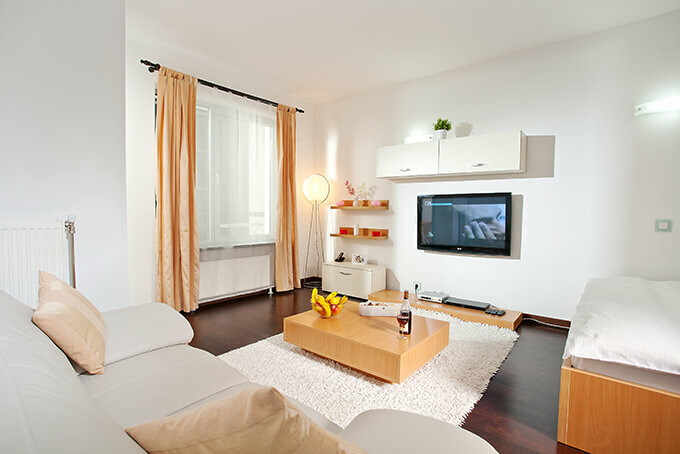 Do not be surprised if your apartment looks like it was featured in the pages of an interior decorator magazine. Aside from its affordability, staying at a short term rental city center apartment has many advantages. You will never have to worry about privacy. You can invite friends and relatives. You can even have your business meetings there. You can also cook your own delicious and healthy recipe anytime you want. Instead of feeling like a visitor or a stranger, staying at an apartment will make you feel at home. To keep you connected, the apartments are equipped with broadband access and wireless high-speed internet service. Your Bucharest apartment short term will have a plush but cozy sofa and a big flat satellite TV, a writing desk, dining table with chairs, good lighting, Air Conditioning, refrigerator, microwave, stove with oven, coffee maker and a washing machine. There is a super comfortable bed with an alarm clock and telephone in the bedroom. Reviews about our Bucharest apartment short term rentals have been only positive. Visitors raved about these affordable, spacious, clean and classy apartments that enabled them to save money at the same time. Also they have enjoyed the wonderful location whether they opted for accommodation in the center of Bucharest, Old City apartments for rent or one of our Universitate Square apartments. We invite you to make the most of your staying in Romania’s Capital and enjoy being part of the city with our luxurious apartments!